Have you ever stopped to consider the air that circulates inside your home? It travels from your furnace, through your ductwork, into your home’s air, and back through the cold air return system. On its journey, it accumulates all kinds of nasty stuff: dust, hair, allergens, pet dander, mold spores, you name it. If it’s airborne, it will eventually collect in your ductwork. From there, it will get blown out into your home, making a dusty, dirty mess of your indoor air (you know, the stuff you breathe). Not cool! Purify Your Indoor Air. Getting rid of all the nasty particulate in your duct-work will help clean up the air inside your home. Modernistic’s comprehensive cleaning system ensures every square inch of your duct-work is thoroughly cleaned, helping you breathe easy in your own home. Reduce Allergies. While the seasons determine the severity of most allergy issues, homes with congested ventilation can cause allergic reactions year round. Contaminants such as dust, mold spores, pet dander and dirt accumulate in your air ducts over time and are blown around into various rooms in your house, preventing the allergy sufferers in your home from ever experiencing total relief. Less Dusting. Getting rid of the dust in your indoor air means less dust on your furniture/pictures/counters/everywhere! Who wouldn’t want to cut down on the tiresome chore of dusting? Improve Furnace Efficiency. Removing the dust, dirt, and debris from your HVAC system will help your furnace run better! Instead of heating the mess inside the vents, the heat generated by the furnace is more easily transferred through the ducts into your home’s air. As any homeowner will tell you, running a furnace is expensive! Don’t make your furnace work any harder than it needs to. When they’re done, they’ll leave behind vents that contain no dust or other particles. That means less dusting for you and fewer harmful pollutants circulating throughout your house; it’s a win-win! So check out our online money-saving coupons and schedule a professional air duct cleaning with Modernistic today! 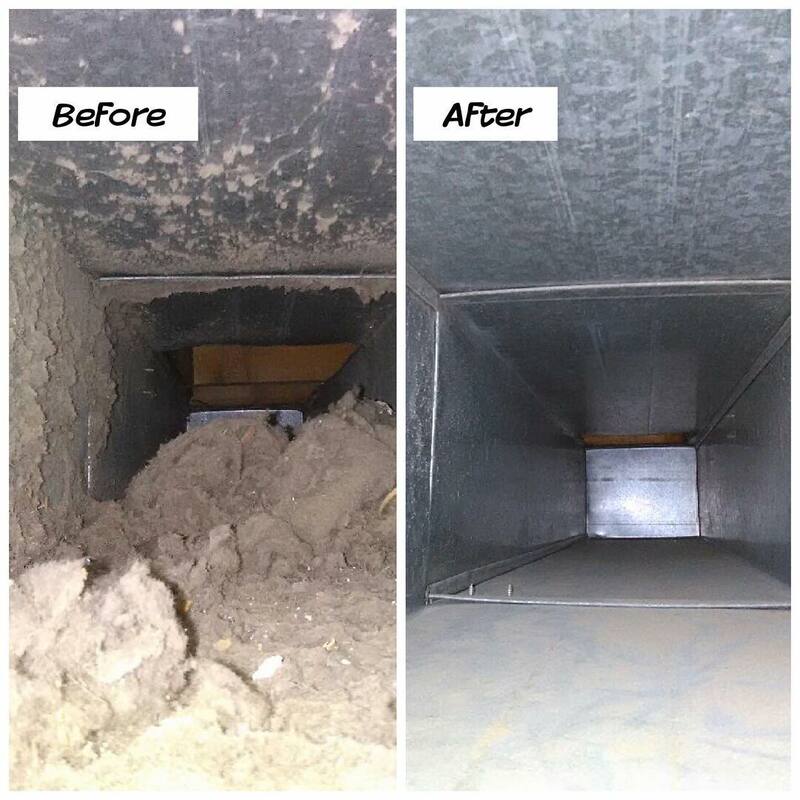 And don’t forget to browse our collection of before and after photos on Instagram for a shocking visual of what’s hiding in your ductwork!